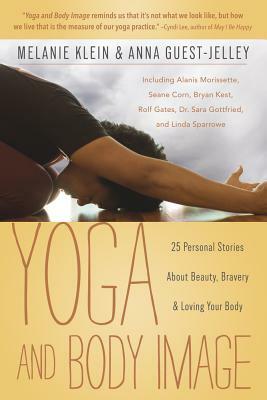 In this remarkable, first-of-its-kind book, twenty-five contributors--including musician Alanis Morissette, celebrity yoga instructor Seane Corn, and New York Times bestselling author Dr. Sara Gottfried--discuss how yoga and body image intersect. Through inspiring personal stories you'll discover how yoga not only affects your physical health, but also how you feel about your body. Melanie Klein, MA, is a writer, speaker, and professor of Sociology and Women's Studies. She is a contributing author in 21st Century Yoga: Culture, Politics and Practice and is featured in Conversations with Modern Yogis. She is the co-editor of Yoga and Body Image: 25 Personal Stories About Beauty, Bravery + Loving Your Body, and co-founder of the Yoga and Body Image Coalition.Anna Guest-Jelley, MA (Nashville, TN) is the founder of CurvyYoga.com, a training and inspiration portal for curvy yogis that has been featured in The Washington Post, Yoga Journal, U.S. News & World Report and Yoga International, among others.